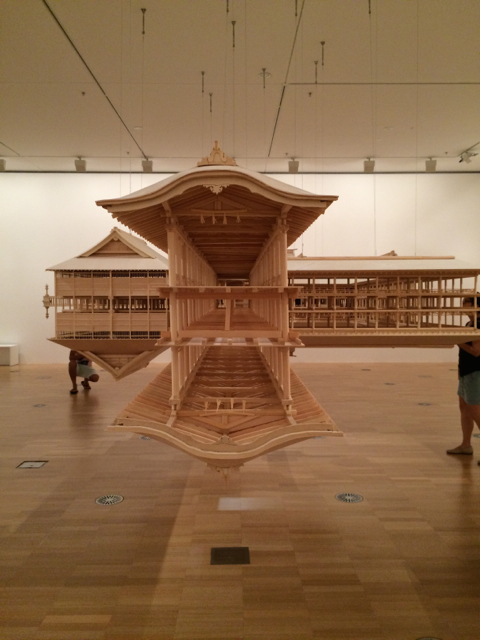 Admire the 'Itsukushima Reflection model' by Takahiro Iwasaki at the NGV International and see this beautiful free standing structure which was setup onsite. Takahiro Iwasaki is a young emerging contemporary artist from Japan. He exhibited similar work in 2012 at the Queensland Gallery of Modern Art. Little Miss hasn't seen this beautiful model and I might keep her away from it just in case she decides to grab it haha!